Connect with regional life science colleagues andcelebrate2018 successes Monday, December 10 from 5:30 - 7:30pm. Robert Mino, VP, Life Sciences,Business Development Board& Cara Perry,Asst. Vice President of Communication, FAU Northern Campuses and Chapter Co-Chairs to welcome guests and toast to a successful 2018. 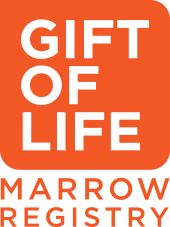 Brief program will feature this year's Charity of Choice:Gift of Life Marrow Registry,a non-profit dedicated to facilitating bone marrow and blood stem cell transplants for patients with leukemia, lymphoma and other blood-related diseases.